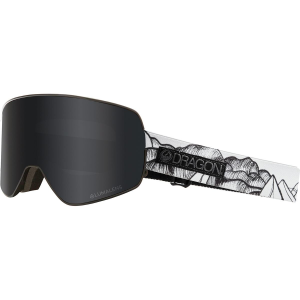 Dragon added the Signature Series to their original NFX2 Goggles so you can emulate your favorite shredders. These goggles boast the same craftsmanship as the original, including frameless technology and an optically correct cylindrical lens to maximize your field of vision. The Swiftlock Lens Change System allows you to change lenses quickly and painlessly for variable conditions on the slopes, and your vision stays clear thanks to Super AntiFog technology and Armored Venting preventing moisture from collecting inside your lenses. Triple foam with a hypoallergenic micro fleece lining helps ensure a comfortable fit, while UV protection blocks out harmful rays, so you can ride until last chair with ease.Proposition 65 Warning for California Consumers: This product contains chemicals known to the State of California to cause cancer and/or birth defects or other reproductive harm.